Use a 1,8 metre level to keep the front surface of the wall plumb as you build. Adding mortar behind the stones may force them out of alignment. 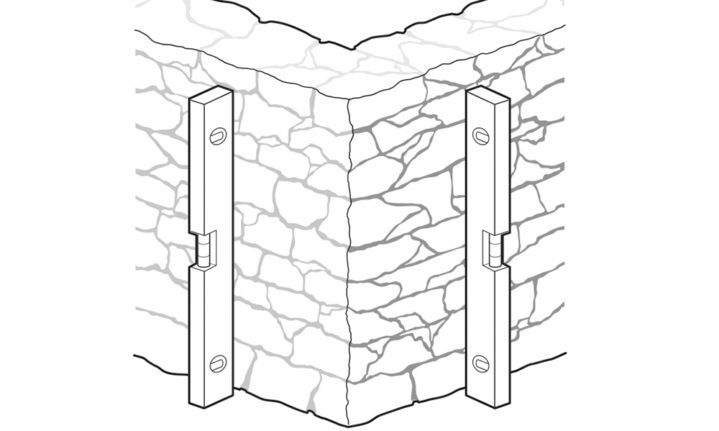 Use the level to push them back to perpendicular while the mortar is wet. Don’t check the corner point of the wall to see if it’s level. Check both sides that form the corner. If they are level, the corner will be perfect.